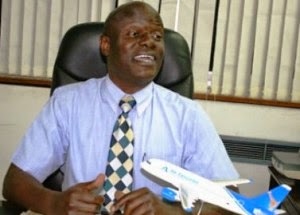 THE eight-plane deal reached by Air Tanzania Company Limited (ATCL) and an Omani investor might not materialize after all. Several clues in ATCL knowledge and government circles show that the much-cherished prospect is gradually vanishing as there is the possibility that the whole deal is a non-starter. The national flag-bearer had banked on the ambitious investment of about 200bn/- to help revive its operations for effective competition in the market. An Oman investor, Sheikh Salim Al Harthy, who visited Tanzania in August, last year, had introduced himself as the Chief Executive Officer (CEO) of Alhayat Development and Investment Company -- and promised to shunt in the brand new planes. He had promised that after the talks with ATCL management, his company would right away bring in the planes and train 10 young aircraft engineers who will also specialize in maintenance of Bombardier and Embraer175 planes. In December last year, the ‘Daily News’ contacted ATCL Acting Managing Director and CEO Milton Lazaro over the development of the deal. Captain Lazaro pointed out that talks were "promising but still underway’’, expressing hope that the deal will ultimately bear fruit. "In two weeks, I mean by January 10, I will tell you the point we have reached in these talks," Capt. Lazaro had told this newspaper. 'Daily News' kept on following the development of the deal almost weekly but the airline’s management has not been able to state the exact position and progress. However, reliable sources in Brazil contacted by the ‘Daily News’ recently for more details about the Omani firm, Alhayat Development and Investment Company, claimed not to know it, with the manufacturer accessing the scant information he had through a ‘Daily News Online’ story . What has, however, remained a puzzle up to now is the part to the effect that the manufacturer does not know one of his "major clients’’, who is capable of pressing an order for eight aircrafts at a go. The sources claimed that the said company was not in the world aviation records as they tried to search for it in its records in vain. Efforts by the ‘Daily News’ to trace the company through available aviation records and sources failed. Reached for comments over the matter, Transport Minister Dr Harrison Mwakyembe pointed out that the government has never held talks with the company. “They just came to express their interest but we have not reached at a stage of inviting them (for negotiations) and we don’t have any contractual agreement with the company,” he said. Dr Mwakyembe insisted that at this moment the government was not interested to know whether the company was valid or not and its legitimacy would be known when they reach a point of closing a deal. He noted that many companies were flocking the country, seeking to enter into business partnership with ATCL and the door was open for everyone. He said however, ATCL was not ready to close a deal with any partner now as it has among others, overdue debts it has to clear first. “It is not a crime for these firms to flock in the country, let them just come and show interest but once we want them then we will verify their authenticity,” remarked Dr Mwakyembe. He said the fact that the Oman firm is not in the world aviation records does not mean that it can’t invest in the industry. “What if it wants to start investing in the aviation industry now though it had never been in the sector? Is it a crime?” Dr Mwakyembe queried. The minister assured this newspaper that the firm, Alhayat Development and Investment Company exists, though he could not confirm its involvement in the aviation business. “When the vice-president recently visited Oman, Alhayat Development was among the companies that welcomed him, so its existence is indisputable,” he noted. While the minister stresses that the government had never held any conversation with the Omani firm, ATCL chief had in December, last year told the ‘Daily News’ that the talks were "underway and promising". In the initial talks, Sheikh Al Harthy, was quoted as saying that his company would invest 100 million US dollars (over 160bn/-) and increase the investment gradually in addition to training 10 youths in aircraft maintenance engineering. He had also promised that the company would erect a 25-storey building in Dar es Salaam Central Business District in a joint-venture with ATCL. We should be extremly careful with the people trying to invest and partner up with ATCL because we might suffer a grate loss in the future by closing a deal with a shadow fraud companies that dont exsist simply because of their promising deals. Lets cherish what we have and trying to work away to bigger planes on our own even if we take 20 years or so than partner up with invisible company investers and their sweet deals that later will cripple ATCL and lead to selling which is a great shame. If such aircrafts will be brought what about pilots flying them,are they also going to be from Oman? If its our ATCL we need atleast 20 pilots of ours who will also be trained for such aircrafts not some Oman looking dudes in our planes.